AutoCAD drawings can reference several types of external files including other drawings, text fonts, images, and plot configurations. The paths to these referenced files are saved in each AutoCAD drawing. 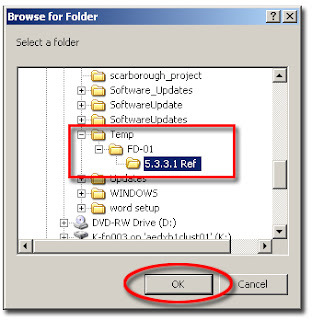 Sometimes you may need to move drawing files or the files that they reference to different folders or to different disc drives. The saved reference paths then need to be updated. In this below example, the drawings external reference paths were from “C:\Temp\TD\5.3.3.1 Ref”. and I renamed the folder “TD” to “FD-01” . Result, when I open those files the reference manager shows External reference Status is “ NOT FOUND”. If you have lots of drawing and it is not easy to open each drawing file and then update each saved path manually. The Autodesk “REFERENCE MANAGER” provides tools to list referenced files in selected drawings and to modify the saved reference paths without opening the drawing files in AutoCAD. Click “Add Drawings” icon to Add drawings to change the external reference. Now you can see the Status is “Not Found” and Saved Path is “C:\Temp\TD\5.3.3.1 Ref”. Select these external references then click “Edit Selected Path” icon. Click Browse icon to Browse new path in “Edit Select path dialogue box”. Browse new folder path and then Click “OK”. Now you can see the “new path” in Edit Selected Dialogue box. Then Click “OK”. Click “Apply Changes” to change reference path to all added drawings. Now In Reference manager Dialogue Box you can see Saved Path is changed to “C:\Temp\FD-01\5.3.3.1 Ref”.